Amazing opportunity for a well maintained Emerald tri-level home in the middle of it all! There is lots of room to roam in this 5 bedrooms, 3 full baths, 3 car garage (with built ins) home. Light and bright complete with a large eat in chef’s kitchen with tons of storage and large island. Lower level has a large family room with a large ensuite master bedroom and huge walk in closet. Backyard is great for entertaining with diving pool & spa. All this and NO HOA!! Pre-paid home warranty and leased pre-paid solar!! New patio roof 2018. Got to see this one. The storage possibilities are amazing!! Seller will is offering seller concessions. Low electric bills! Directions: East on Peoria to 57th Ave. North on 57th Ave. to Desert Cove. East on Desert Cove to property on South side of the road. Approximate size: 7933.00 sq. ft. Please, send me more information on this property: MLS# 5831617 – $360,000 – 5607 W Desert Cove Avenue, Glendale, AZ 85304. 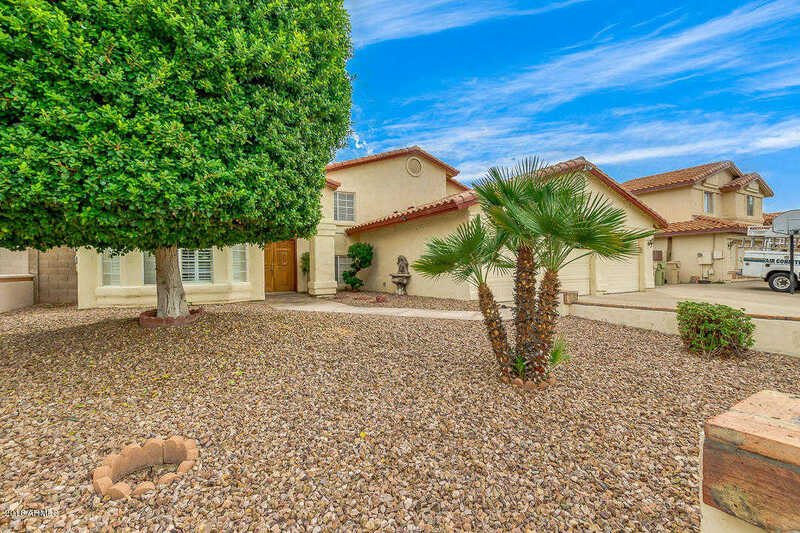 I would like to schedule a showing appointment for this property: MLS# 5831617 – $360,000 – 5607 W Desert Cove Avenue, Glendale, AZ 85304.